« US OPen Golf 2011 Live Coverage and Scores! JK Rowling, the famous author of the most famous Harry Potter book series is up to some secretive and mysterious project ahead. We don’t have guess of it right now other than a site name and it is called “pottermore.com”. 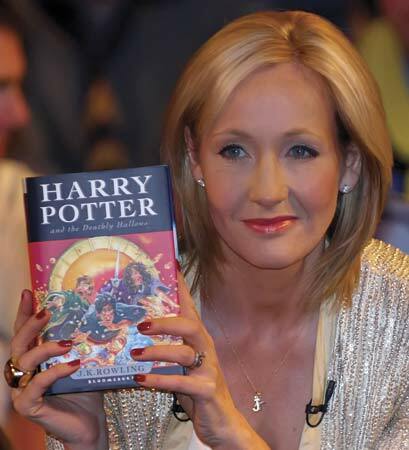 The information for now is that the coming mystery project is not another book from Rowling according to her spokesperson. The site, pottermore.com, features a holding page with two owls which links to a YouTube page featuring a countdown to a 23 June announcement. “The owls are gathering… find out why soon,” it adds. “It is, in a word, breathtaking,” wrote Leaky Cauldron, one of the leading Potter sites. For the 84th annual Academy Awards, celebrities walk the red carpet, pose for the hundreds of waiting photographers and chat with reporters. Couples like Brad Pitt and Angelina Jolie to excited up-and-comers like Jessica Chastain and Shailene Woodley made to Oscars Red Carpet. It doesn’t get bigger than this when it comes to star-studded events. Emma Watson in tears on Harry Potter and the Deathly Hallows World Premiere! Harry Potter and the Deathly Hallows Part 2 Trailer!